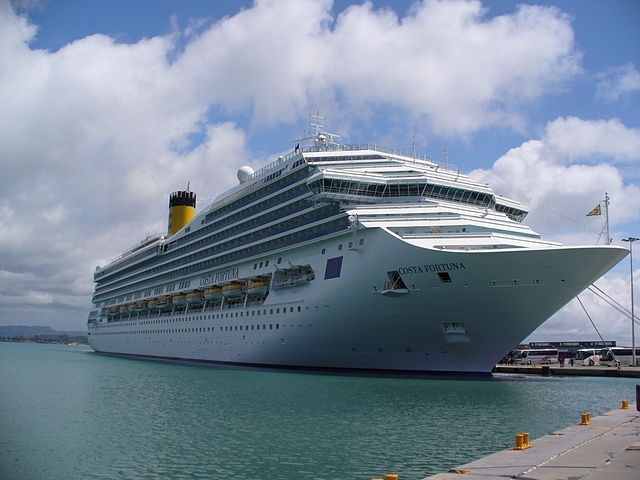 (Seychelles News Agency) - Costa Cruises, a popular worldwide cruise operator, has agreed to increase the number of cruise liners and rotations to the Vanilla Islands region in the next two years. This is according to the director of the Vanilla Islands, Pascal Viroleau, who met with SNA for an interview on Friday morning, describing the announcement as a "concrete result due to the cooperation between the islands". This week, tourism ministers from the Vanilla Islands, or Iles Vanille as they are called in the French language, are in the 115-island archipelago of Seychelles to witness their countries cultural delegations participate in the Carnaval International de Victoria, which is currently underway this weekend, and see the progress that has been made with the annual festival since its inception five years ago. It is now also almost five years since the regional association of Vanilla Islands was created in August 2010 to promote tourism in the Indian Ocean, comprising seven regional island nations: Seychelles, Madagascar, La Réunion, Mauritius, Comoros, Mayotte and Maldives. The Vanilla Islands organization recently released combined regional tourism figures for the islands, and visitor arrivals have shown a 15 percent increase across the region. Seychelles, with its population of 90,000 inhabitants, benefited in 2014 from a boost in dual destination marketing. Packages where visitors can travel to an African country, such as South Africa, Tanzania or Kenya as a safari destination and then transfer on to the Seychelles, Reunion or Mauritius as a beach getaway are becoming increasingly popular. Dual destination holidays between South Africa and Seychelles have reportedly increased by 98 percent, according to Viroleau. Tourism is the main pillar of the Seychelles economy, and the archipelago recorded 232,667 visitors between January and December 2014. Air Seychelles, the national carrier of the Seychelles, opened a new route to Madagascar last year with the aim of increasing air traffic in the region. "Today, the challenge we face is the air connectivity between the islands, there are efforts that have been made on it and there should be announcements by the end of the year, now the airlines are working together... it's going forward," said Viroleau. In June, the rotating presidency of the Vanilla Islands tourism organisation, currently held by the Madagascan Minister of Tourism, Ramarcel Benjamina Ramanantsoa, will be handed over to Mauritius. 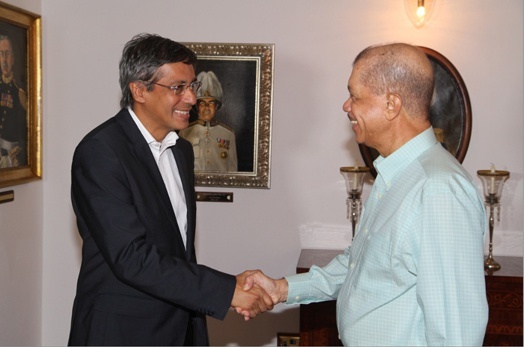 The Deputy Prime Minister and Minister of Tourism of Mauritius, Xavier-Luc Duval, and the President of the Regional Council of Reunion, Didier Robert were also received by the President of Seychelles, James Michel later on Friday morning. 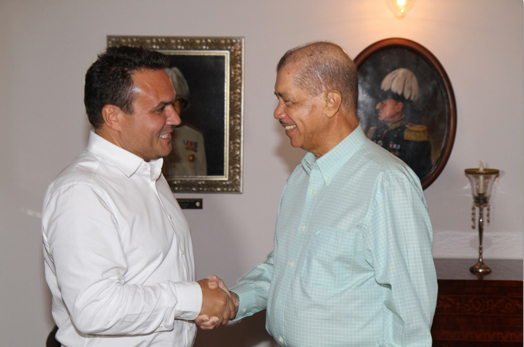 Deputy Prime Minister Duval announced to the press that he had discussed the concept of developing cruises to the Vanilla Islands that all the members of the organisation would benefit from in terms of tourism. During their meeting, the two discussed means of strengthening bilateral cooperation through advances in areas such as telecommunications, investment, health, tourism and environmental protection. In a press statement issued on Friday afternoon, President Michel described Mauritius as a 'sister island' which shared the same vision for sustainable development and growth of trade between the two islands. Mauritius has sent a large team of 22 people participating in the carnival, and Duval congratulated the Seychelles "for the organisation of a carnival of this magnitude". When meeting the President of the Regional Council of Reunion, Didier Robert, the same morning at State House, Michel expressed his gratitude to Reunion for the excellent cooperation in the implementation of the Carnival, of which the French 'overseas department' of La Reunion joins Seychelles as the co-host. Michel and Robert exchanged views on cooperation between the two islands in the areas of environment, tourism, and maritime and air links. Robert told local media that he believed that the Vanilla Islands organisation had to work together as often as possible "for the good of our people", adding that he believed that the Carnaval International de Victoria had become a highlight of the Vanilla Islands calendar.